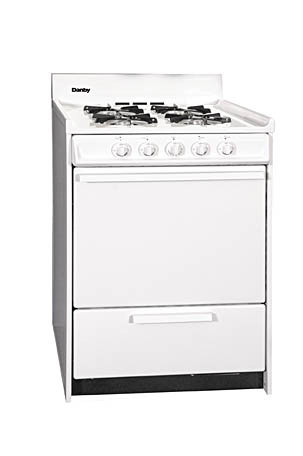 Our ultra-compact gas range measures only 24 inches wide but offers 4 burners plus oven. Taking up minimal space it's the perfect addition for trailers, cottages or accessory apartments. Compatible with natural gas or liquid petroleum fuels. Product Width 61.0 cm 24"
Product Depth 64.5 cm 25 6/16"
Shipping Weight 63.5 Kg 140 Lbs.